Gifts for men can be difficult. When they need something, they just buy it, leaving you with few ideas. That’s why there are so many mugs that say “World’s Greatest Dad” or something along those lines. Don’t worry, though. You’re already in possession of the best gift money can’t buy. There’s often nothing better than giving your dad the gift of your time—especially when that time is spent on a project you can work on together. Shared experiences make the best memories and the strongest bonds. So what does this have to do with log homes? 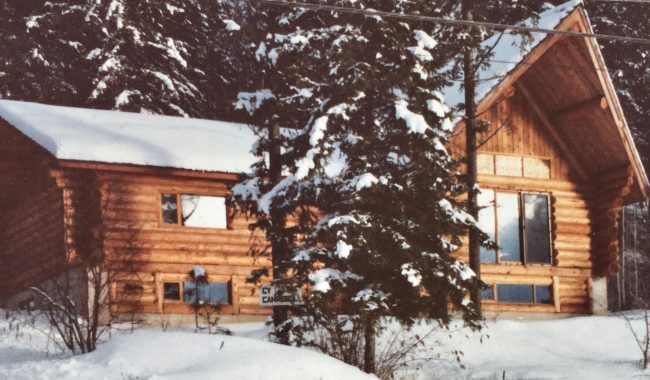 Our log building history began back in the early 1970s when Ed Campbell decided to build log homes, embarking on the adventure of a life time with his wife Irene and their two children. (Read more about it here) Moving away from family and friends in Ontario all the way across the country to British Columbia was a big adjustment for everyone. Ed’s parents came to visit and explored the surrounding area, falling in love with the wild and wonderful Shuswap Lake east of Kamloops. When they bought land beside it’s northern shore in 1975 it seemed like the perfect place for a log home. And it was something everyone could work on together. 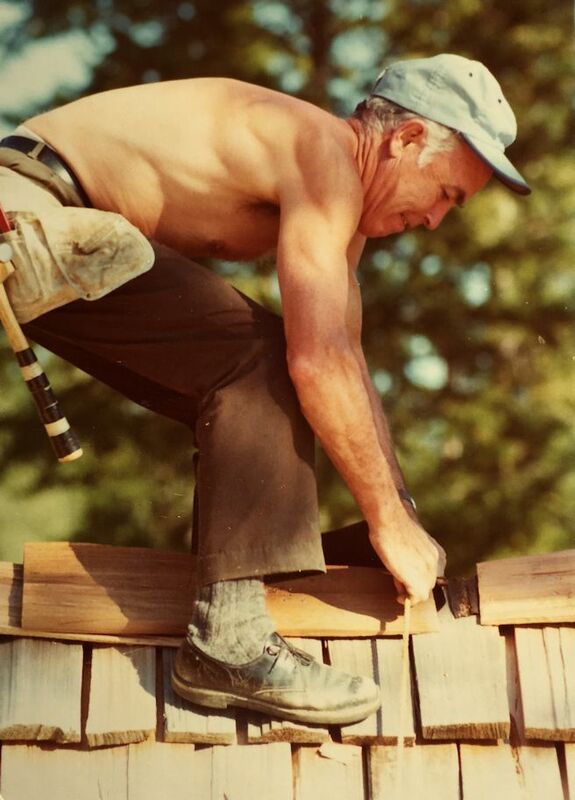 Cy and Erma Campbell, vigorous 60 year olds, wanted to be involved in every step of their log cabin. On Ed’s log building site in Kamloops, they both helped peel logs by hand along with their 14 year old grandson (Ed’s boy) Brian. 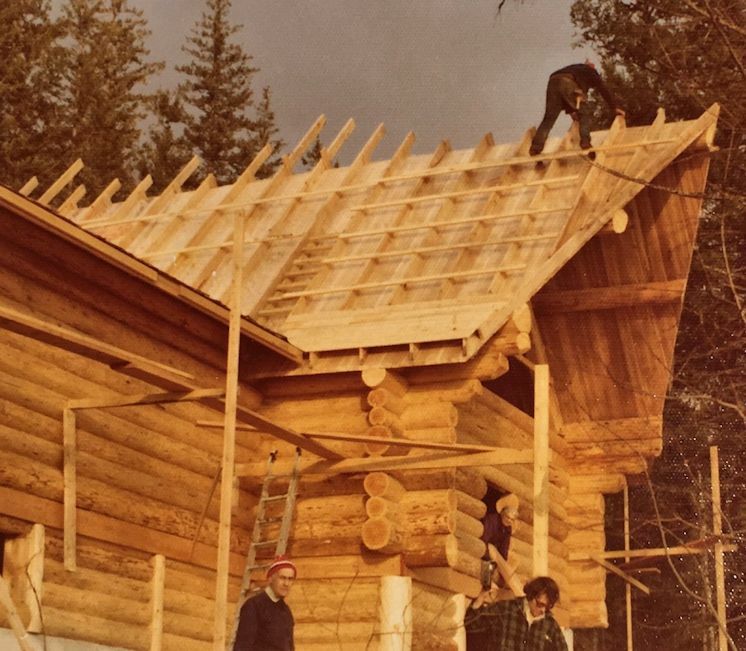 Ed and his men notched and fit the logs by hand using the Swedish cope full-scribe method that produced the solid log houses Ed Campbell was gaining recognition for. After it was completed, the logs were transported to the beautiful lakeside property where the family worked as a team reassembling the log walls and roof system. In a few days the log shell stood strong and true. From there, Cy completed most of the home himself with assistance as needed from his family. His own meticulous workmanship was most evident in a feature wall made of clear tongue and groove cedar paneling mitred in a square around the Campbell family crest. Erma’s pride in her family’s work and her love of her new home was loud and clear in the personalized stationary she used. 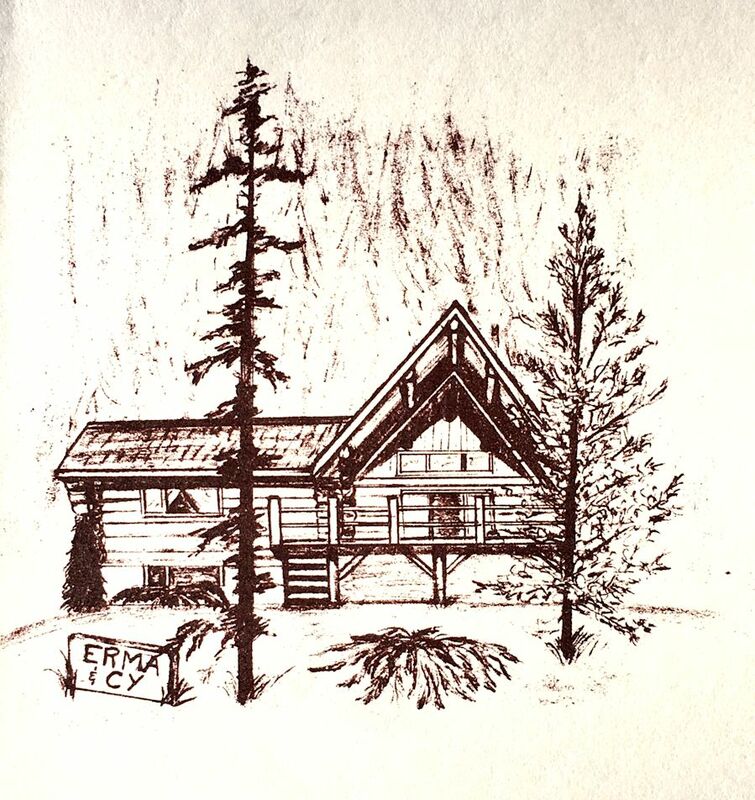 For 20 years Cy and Erma Campbell’s log house was the natural place for family gatherings. Its inviting warmth drew visiting family from across the country to share Shuswap summers and special occasions. Before long their three younger sons moved west and put down roots. Just a few minutes’ drive from his grandparents log house, Brian Campbell continues to build custom log homes with his crew at North American Log Crafters. Clients all around the world contact him to plan log dream homes and cabins that become the center of their own family celebrations and lifetime memories. Not everyone gets the chance to build a log cabin for their father the way it happened over 40 years ago for the Campbells, but every family has its own story. When you’re wondering what to give your Dad for Father’s Day, just don’t spend too much time shopping for the perfect gift. Find out what he’s up to…and do it with him! It’s what he really wants.